In her seminal essay ‘Freedom from Fear’, the prominent pro-democracy activist and Nobel Peace Prize winner, Aung San Suu Kyi, called for a ‘revolution of the spirit’ if we are to bring about meaningful change in our world. 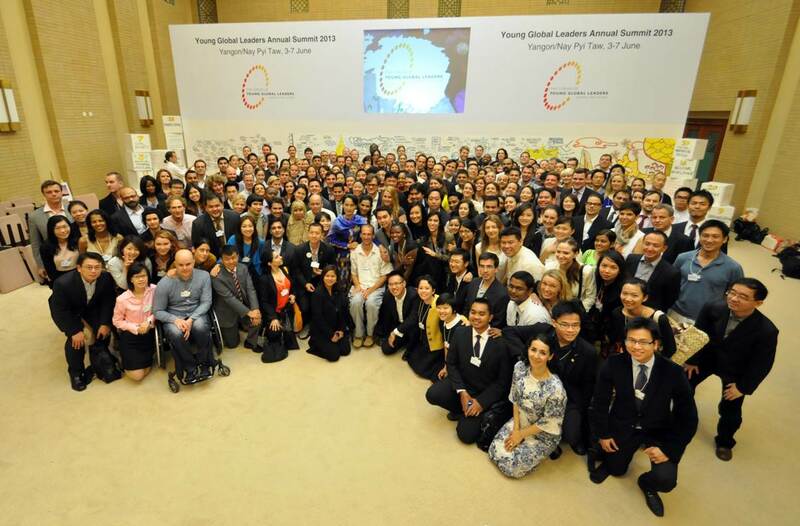 A few weeks ago, I had the privilege of attending a private session with The Lady, as she is known in Myanmar, as part of my involvement with the Forum for Young Global Leader’s at this year’s World Economic Forum for East Asia, held in the capital, Nay Pyi Taw. 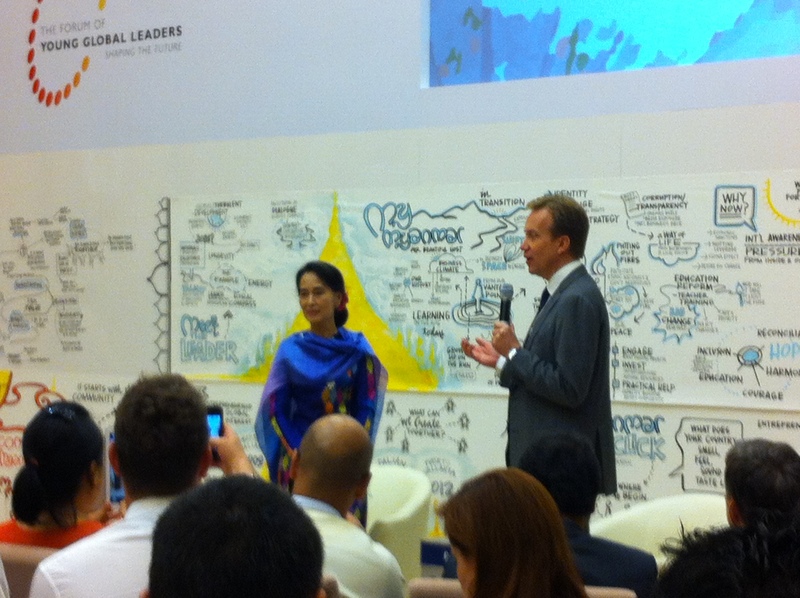 During the session, Daw Suu Kyi turned the tables on our own questions to her by asking us what we felt it would take to overcome the fear that pervades the world. As she sees it, fear is at the root of the world’s most intractable problems and overcoming this fear lies at the heart of our future progress. Her call struck a chord with me as this very question has been central to my own leadership journey. As a young girl, it seemed to me that we are either living out from a place of fear, or, a place of love. I saw that love was the only transformative force that could meet and master the suffering we see around us and I determined at this young age to make overcoming fear through the highest expression of love my reason for being and the purpose behind my professional life. So far, that has manifested itself in a commitment to using the arts for personal and social transformation. My interest in the power of spiritual thinking lead me to instigate a workshop on Spirituality and Mindful Leadership at this year’s Young Global Leaders Forum, during which we had the privilege of visiting several religious institutions that have been foundational in bringing progress to Myanmar society. We received an introduction to Theravada Buddhism, the spiritual practice of Aung San Suu Kyi herself, and were also fortunate to spend some time with young students from the Myanmar Institute of Theology. Here, we ran a theatre workshop where we encouraged the students to create images for Myanmar’s future, based on a brainstorm around the spiritual qualities that transcend any one particular religious tradition. Words like ‘compassion’, ‘connection’, ‘humility’, ‘forgiveness’ and ‘unity’ were further developed into a series of images that showcased how such principles could be applied to concrete situations in Myanmar’s future progress. It was wonderful to see the sense of hope that defined the young people of Myanmar and to see the power of a collective vision to mobilise others. Aung San Suu Kyi herself, when asked if she had ever considered giving up her cause, said that, so long as there was one other person who wanted democracy, she would continue in her mission for, to her, our work should always be about the other, the surrendering of self to a higher purpose. Furthermore, during one of the panel discussions that Daw Suu Kyi was on at the Forum itself, she spoke of the importance of the youth voice and for education to be based on teamwork and the building of skills, not simply the acquisition of knowledge. This is necessary for Myanmar to progress and elevate people to a higher view of their potential than has previously been possible. In my own work, I can attest to the extraordinary power that is unleashed when, through the artistic process, we are able to break down the barriers in our thinking. During the Forum, Aung San Suu Kyi confirmed that she intends to run for President at the next election and I was particularly struck by her ability to recognize that the current military government is also a part of the Myanmar people. Her vision is no ‘them and us’ situation that rules so much of global politics these days but a more nuanced understanding of the unity that must be found over division if her country is going to progress. To me, great leaders such as Aung San Suu Kyi, Nelson Mandela and Gandhi, have demonstrated through their grace, dignity, integrity and poise what is possible in all of us, to lead in whatever sphere we find ourselves in to the full realization of who we are as expressions of Love. That, for me, is the true purpose of leadership and I know that many around the world will join me in supporting Daw Suu Kyi in her bid to lead Myanmar to a fuller expression of her potential, shining her light to also inspire others on their journey towards freedom from fear. And to put out a call to all leaders, big or small, to inspire their own ‘revolution of the spirit’ within themselves and those they lead.